Road Accident Claim - Waring + Co. Car Accident Claim…With the volume of traffic increasing year on year, the number of accidents involving drivers, passengers, motorcyclists and cyclists is increasing. If you are a driver involved in a road traffic accident, we can advise you about the most efficient and economical way to pursue your claim from the very outset. Even though you may be comprehensively insured, in the event of a no fault accident, a claim on your own insurance policy is probably not your most favourable option. Our specialist traffic accident claim team will co-ordinate your claim and assist you in securing an early repair to your vehicle, the obtain an alternative vehicle, at no cost. 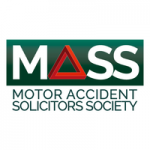 In the event you have been involved in an accident with an uninsured driver, we will advise you upon pursuing a claim through the Motor Insurers’ Bureau. Waring & Co solicitors take Personal Injury claims on a no win, no fee basis. Waring & Co have become one of the most successful no win, no fee Personal Injury law firms in the UK. With 25 years of company experience, we have handled over 50,000 cases, recovering millions of pounds in damages for our clients.